Competenz is one of New Zealand’s largest industry training organisations working with over 3,500 companies and 20,000+ learners in 37 industries around New Zealand. 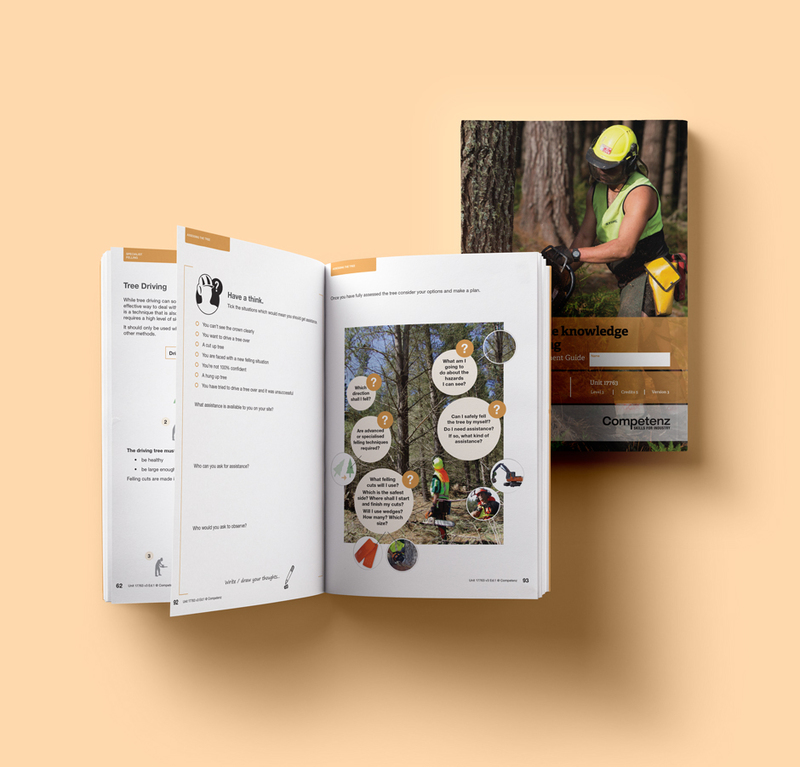 One of their core industries, Forestry, needed a re-think of it’s training manuals to better cater for the learner stereotype that comes with this sector. We set about evolving the design to include activity icons, a new layout and a photoshoot of ‘forestry characters’ that helped to portray the various exercises in the manuals through ‘real life’ situations. 80 books later and we’d completed the full range of learning resources for this important industry.